The judgement of the Supreme Court which was given last week held that the judgement of the Court of Appeal allowing the writ of Certiorari on the parliament of Sri Lanka was wrong. 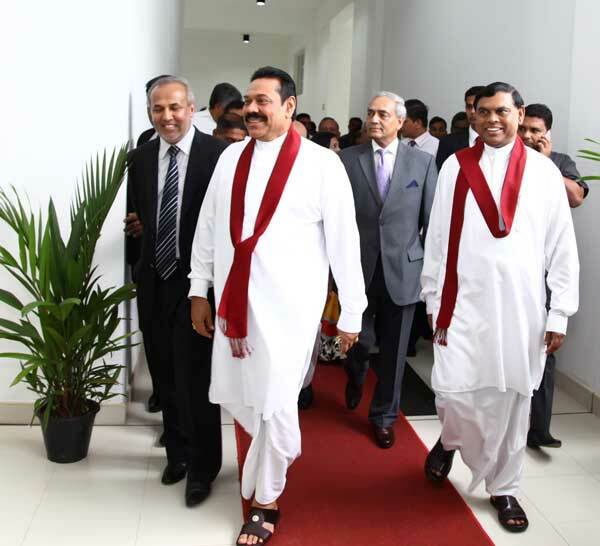 The simple argument of the five judges is that the parliament of Sri Lanka, like the parliament of Great Britain enjoys supremacy of parliament which excludes the possibility of any jurisdiction being exercised by the courts over anything that it does. The issue before the court was about the legality of the dismissal of the former Supreme Court judge, Shirani Bandaranayke who claimed that her rights had been violated as the due process of law was not observed in her dismissal. The implication of the Supreme Court judgement is however, that the due process of law is not a relevant matter where the dismissal of the Chief Justice is concerned . If the parliament so wishes, it can dismiss a judge of the Supreme Court, including the chief justice without observing due process. If that was not the case, the judgement implies, it would be a violation of the principle of the supremacy of the parliament. The argument may be explained by way of the following simile: a man goes to the doctor and complains that he has lost a leg due to an accident and wishes to obtain treatment. The doctor, who has peculiar habits, tries to console the man by making an argument. He tells the man that is OK; he has not lost a leg and he can prove it. The man is thoroughly surprised and asks the doctor to do so. The doctor then tells the man, you are a human being. All human beings have two legs and therefore you are presumed to have two legs. This is impeccable logic, the doctor tells him and there is nothing more to say about it. The principle of the supremacy of the British parliament is premised on the basic assumption which is that the parliament of Great Britain would not abuse its supremacy and the development of principles, norms and standards are the basis on which the supremacy principle is based, like every other such principle. Now what we have to conclude is that there is also the assumption in Sri Lanka that the country’s parliament will not abuse its supremacy. That is the assumption that has now become part of the law of Sri Lanka in terms of the judgement announced last week by the Supreme Court. We must assume that the parliament of Sri Lanka will not abuse its supremacy. Particular historical circumstances in Sri Lanka reveal that in 1978 a constitution was promulgated and within that constitution it is the president that has the sole executive power and that parliament itself has been subordinated to the authority of the executive president. It is not relevant to look into the issue of the assumption that parliament is supreme and that it will not abuse its supremacy. After all, the 1978 Constitution is only a matter of history and we should not pay too much attention to actual history but go by the assumption on which the constitution operates. Whatever may have happened in 1978 and thereafter in Sri Lanka is quite irrelevant. The sacred assumption that parliament is supreme is inviolable and we must all believe in this inviolable principle whatever may be the particular history of the country. A further assumption on which the Supreme Court judgement is based is that Sri Lanka is a common law country. Has Sri Lanka ceased to be a common law country by way of the adoption of a constitution in 1978 which goes against all the principles of common law and should this be treated as an irrelevant matter. The assumption is that Sri Lanka was a common law country and it will always be a common law country regardless of whatever a particular constitution may be and how the country functions. The abuse of the common law, and, in fact, the complete disregard for the common law by the adoption of an authoritarian constitution is merely a passing matter of history. What a nation should be governed by is the assumption on which the British system is based and the British system is based on the supremacy of the parliament and therefore for all time, Sri Lanka will be bound by this principle whatever a particular government or parliament may decide to do by way of the adoption of laws and even constitutions that go against the common law altogether. The judgement of the Supreme Court has established a principle which from now on will be the law in Sri Lanka that whatever the particular method by which judges are dismissed is irrelevant when considering their legality. Whichever way the parliament decides to dismiss a judge it is valid because of the sacred principle of the supremacy of parliament. The 11th and the 12th respondents cited many cases from India to show that, in India, the courts have, in fact, interfered with the decisions of the parliament when the courts were of the opinion that the parliament had violated the basic structure of the Indian constitution with certain decisions. A large number of Indian cases were cited but the Sri Lankan court thought to ignore these citations and did not comment on them in their judgement. The Sri Lankan Supreme Court did not try to distinguish these Indian judgments from the judgement that they have made in this case. The Supreme Court of Sri Lanka has taken note of the submission by the 11th and 12th respondents the case of Arunanda Barathy vs. the State of Kerala and another (1973) that the safeguarding of the basic structure of the constitution is the task of the court. However, by implication, the Supreme Court of Sri Lanka, in their judgment, does not agree with this position. On the basis of the supremacy of the parliament, the basic structure of the constitution is irrelevant. The problem that will arise for any person who will teach constitutional law to students and others in Sri Lanka arising from the Supreme Court judgement is that it will not be possible to teach anymore, that there are specific safeguards to be observed in the appointment and dismissal of judges as a prerequisite of safeguarding the independence of the judiciary. There cannot be such safeguards when the parliament has the sole authority to dismiss any member of the judiciary in whatever manner it chooses. The new principle that would have to be taught to law students in Sri Lanka is that the old principle of safeguards to be observed in the appointment and dismissal of judges is no longer valid as the parliament has the sole power to dismiss any judge in whatever manner and by whatever procedure it chooses. Judges have no jurisdiction to challenge the parliament in regard to whatever procedure that it adopts in the dismissal of judges as the notion of the supremacy of the parliament is inviolable and sacred. Normally courts are expected to inquire into false allegations and to discover the factual and the historical reality behind political claims But in Sri Lanka, whatever that is claimed on behalf of the government is now taken as the truth.